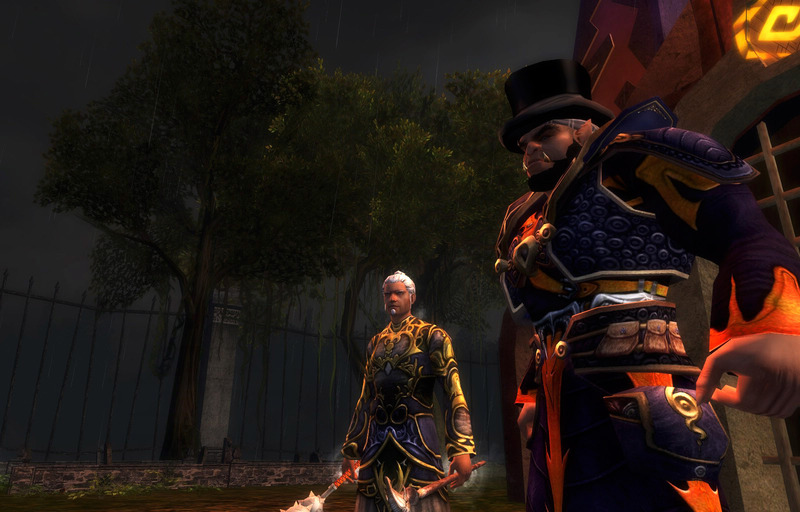 For two years now I’ve been sitting on a half-finished continuation of my Confessions of an MMO Addict articles, which detailed (and yes, admittedly in quite arcane detail) my experience of playing the Massively Multiplayer Online Role-Playing Game (MMO) Dungeons and Dragons Online (DDO). The further in time I got from the experience itself, the less relevant and interesting it seemed to me. When last I left off in this series, I’d just returned from six weeks travelling around South East Asia. What lay ahead of me was an even more intense indulgence of my already dangerous gaming habit. 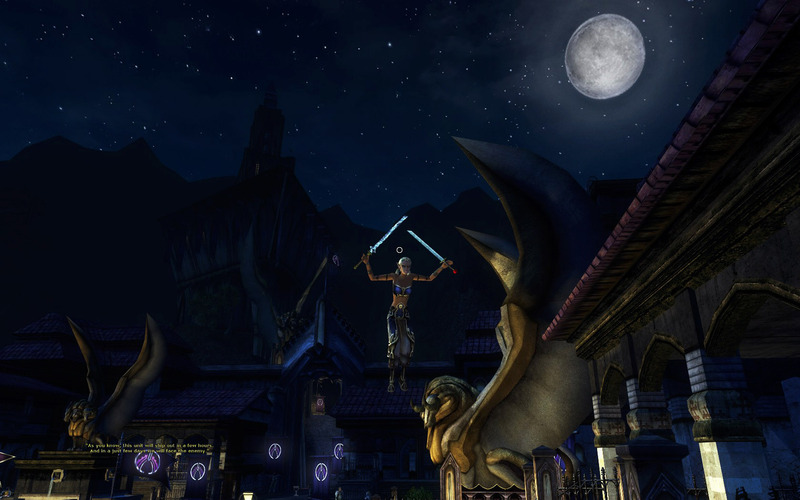 I had hoped that my holiday to South East Asia would help me kick the Dungeons & Dragons Online habit, but I returned to Sydney a desperate junkie. My travelling EEE PC, bless him, had struggled to render the game at all and I had been forced to play solo, with the sound off and graphics turned down to minimum. All I could manage was to farm low-level dungeons on the easiest level for collectables, to buy and sell from the brokers and thus make money on the auction house. It had, in reality, been the very worst sort of grinding, but it kept me going on those heavy hotel-room nights on the road. I couldn’t wait to get back to my desktop, log in, team up with some random bunch of heroes and play the game on full specs in magnificent wide-screen. My New Years resolution had been 1680 x 1050 and I was aching to go from the grind to the grandeur. Sadly, my return to Sydney also marked the end of my relationship with S. I hadn’t exactly been the best companion much of the time and I was, quite rightly, let go, so to speak. I was a terribly sad way to end things, though it was at least amicable. I was left feeling pretty awful all round – not entirely enamoured with myself. What, however, was most alarming, was that I didn’t really mind all that much. I was used to being mildly unhappy and at something of a low ebb. Nor did my response have much to do with S herself, but it was all about my being so utterly consumed by the game. Without a partner in real life and working part time, I was almost entirely free to game at will. 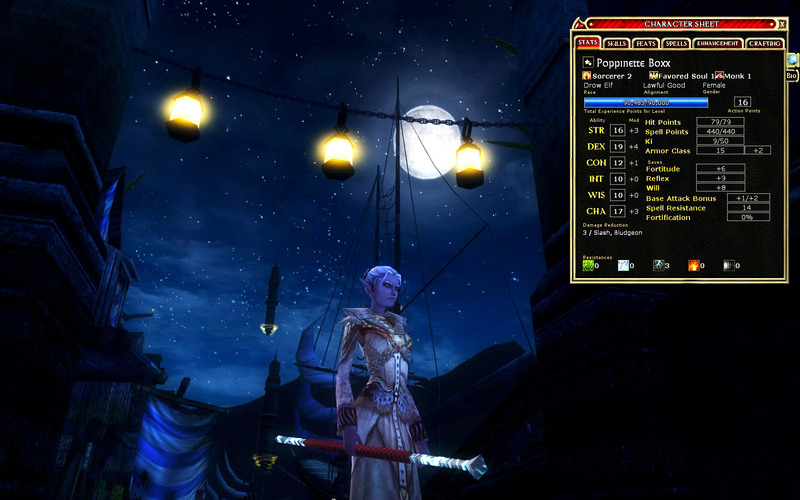 When I hadn’t been playing the game during my trip, I’d spent my spare time using the DDO Character Planner to experiment with multi-class character builds so I might build these characters upon my return. Now that I was back, however, I realised that my first priority must be to take Hallifax Bender, my long-standing stalwart bard hero and favourite alter-ego, to level 16, the then level cap. 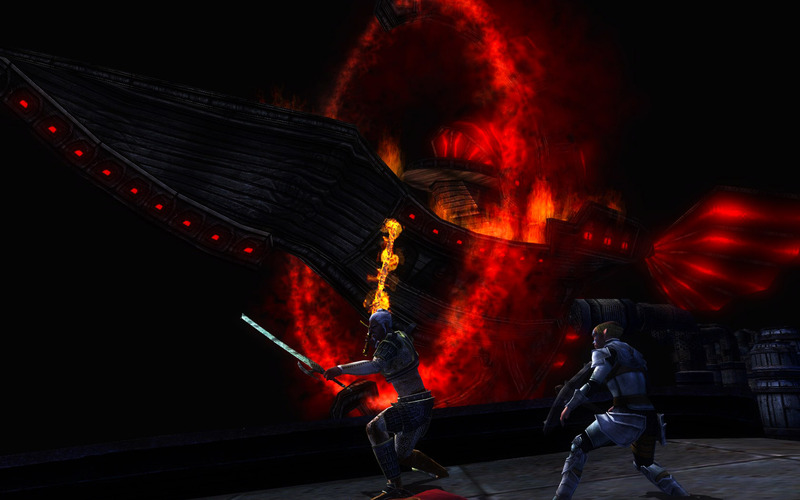 This target was really part and parcel of a grander scheme, which was to achieve 1750 favour with the various representatives of the different Houses of the city of Stormreach. The city contained four different wards, largely populated by the different, major player races. There were the Elves of House Phiarlan, the Halflings of House Jorasco, the Dwarves of House Kundarak and the Humans of House Deneith. These different districts tended to specialise in different classes, and earning favour with them allowed access to certain privileges in the form of new vendor options, buffs and useful reward items. 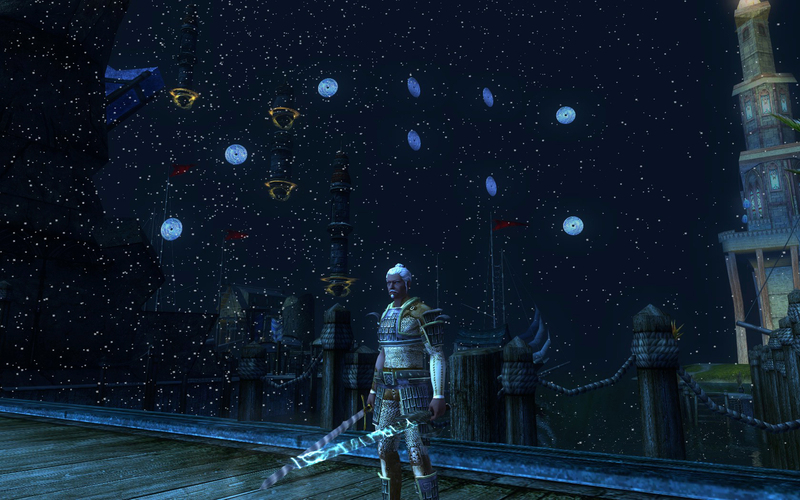 The city of Stormreach was run by a group of people known as the Coinlords, and currying favour with the Coinlords was of particular importance as this granted extra inventory space. There were also the mysterious Twelve, the Free-Agents, the Church of the Silver Flame and the Agents of Argonnessen. If one achieved 400 favour on a single character, it unlocked the Drow race, whilst earning 1750 favour allowed one to build a character with 32 build points, as opposed to 28. This was by no means insignificant, and for those who have absolutely no idea what I’m talking about, I shall elaborate. The six principal attributes of a Dungeons & Dragons character are Strength, Intelligence, Wisdom, Dexterity, Constitution and Charisma, and, in the original rules, these scores were generated by rolling 3D6, or 3 six-sided dice. This produced scores ranging between 3 and 18, with the higher score being the better. As it was such a significant disadvantage to have a 3 or, indeed, anything below 8 in an ability score, most players rolled 4D6 and ignored the lowest scoring die to generate their attribute scores. There were always other fudges allowed, such as rolling the numbers first, then allocating them to each particular attribute, or, for example, subtracting a point from one attribute score to be added to another. In the pen and paper days, as was so often the case, it all hinged on the famous “DM’s discretion.” In other words, if the Dungeon Master said it was OK, it flew. 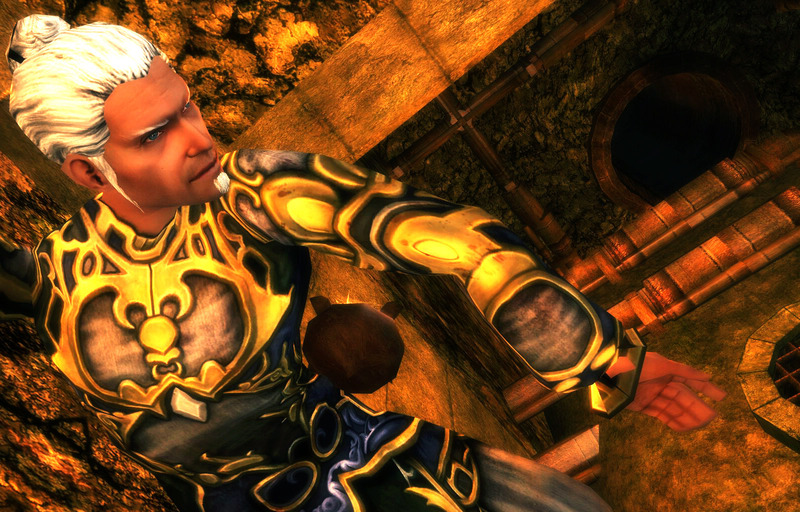 The character creation system in DDO took the dice out of character generation altogether. 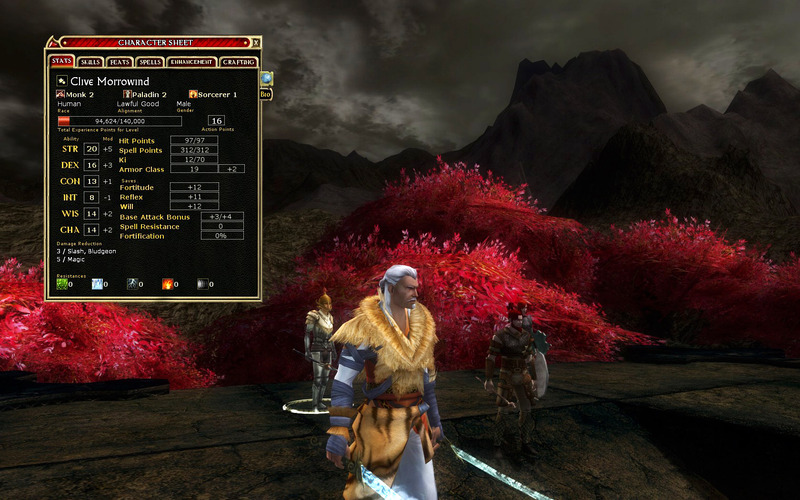 It followed a similar pattern to that used in Neverwinter Nights and was designed to ensure game balance, so that players would neither roll a completely crap character, nor spam the generation process until they rolled an uncannily high set of numbers, as one could do in Baldur’s Gate for example. The system worked as follows. Each character would begin with a base score of 8 in each ability, and be granted 28 points to allocate to the aforementioned attributes. The cost of allocation was one for one, until the score reached 14, at which point any subsequent increase would cost two points. After 16, however, any subsequent increase cost 3 points. Thus, for a human character, it would cost 6 points for a starting Strength of 14, but 8 points for 15, 10 points for 16, and 13 points for 17. One could choose either to focus on particular attributes or go for a broader spread. 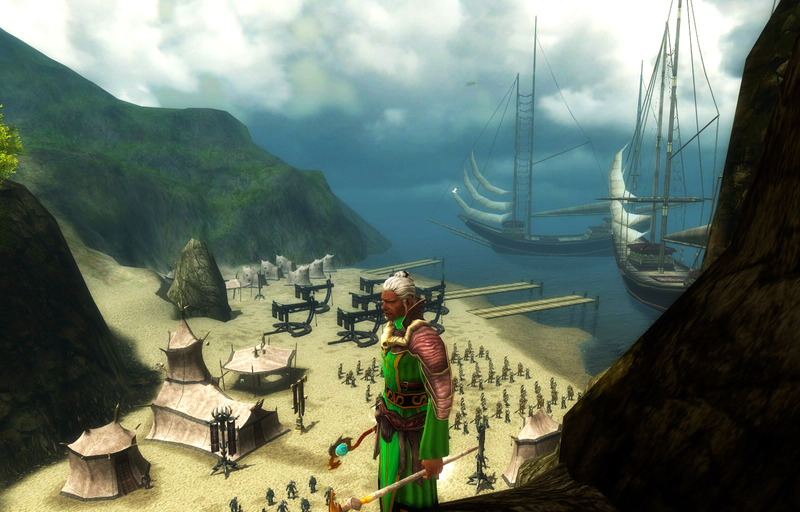 With non-human races, who had racial bonuses or penalties to particular attributes, say, for example, Elves, who have a racial bonus of +2 Dexterity and -2 Constitution, the starting score would be lower or higher accordingly, as would be the bar at which increasing the attribute began to cost more. Thus, the starting Dexterity for an elf was 10, and raising it to 16 would cost 6 points, whilst the starting attribute for Constitution was 6, and raising it to 12 would cost 6 points, whereas an increase to 14 would cost 10 points, with any further increases costing 3 build points per attribute point. It therefore made a not insignificant difference to have 32 build points with which to commence a character, allowing the player either to increase a class’s most important attribute, such as wisdom for clerics, or to avoid penalising another less important attribute. It also gave one the option of increased specialisation or flexibility, the latter being particularly important with multi-class builds. 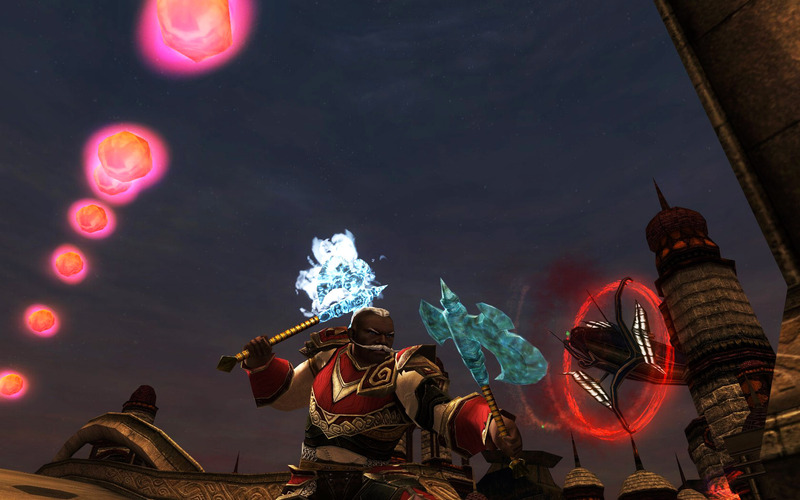 I have documented elsewhere my obsession with creating characters, and DDO was the most dynamic means yet for testing the efficacy of certain builds. It was not only the functionality of the characters that interested me, but the personality I’d give them through their name, style, appearance and, where I could be bothered providing it, their biography. Before I could really go to town and start creating a whole slew of new characters, I needed to advance Hallifax to level 16 and hit that much coveted favour target. The process took me no less than a month and a half of solid play, every weeknight, every weekend, with occasional breaks when exhaustion became so overwhelming that I simply couldn’t concentrate any longer. Even then, I often pressed on, both impressed by and ashamed of my incredible ability to endure. As I ran Hallifax up through levels 12, 13, 14 and onwards, I was continually coming across new quests and explorer areas I’d never seen before: The Vale of Twilight, The Orchard of the Macabre, Ataraxia’s Haven, The Menechtarun Desert, The Ruins of Gianthold and The Reaver’s Refuge. The novelty of running these areas for the first time kept my enthusiasm for the game at a very high level, despite the hit and miss nature of the groups in which I found myself. 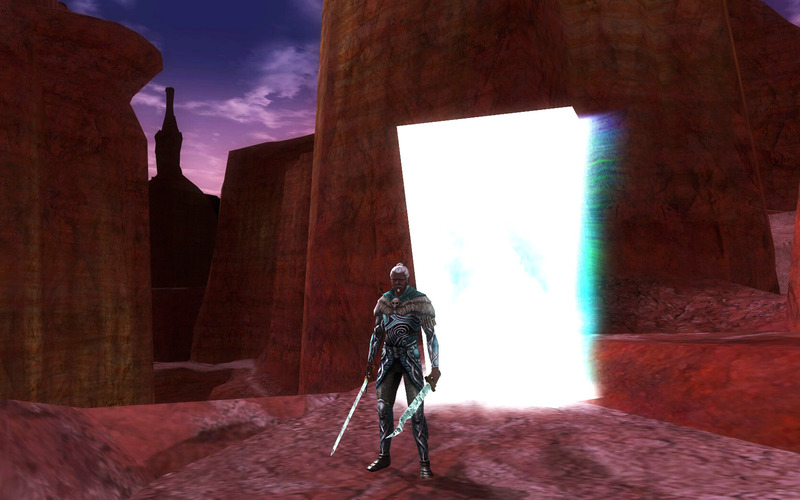 One of the greatest attractions of computer games is the ability to surprise and to fascinate through exotic locations, interesting challenges, impressive artwork and terrifying opponents. 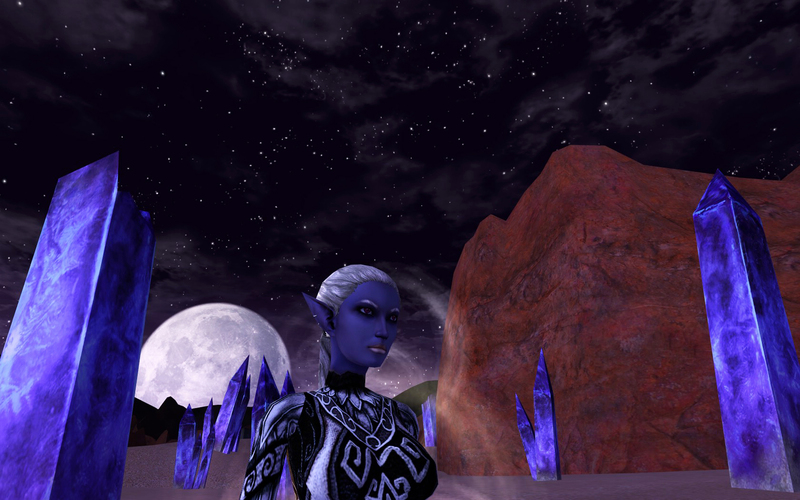 DDO had a lot to offer on these fronts and sharing the experience with random people, especially when they too shared my enthusiasm for the task at hand, made it all the more pleasurable. The higher level quests were, on the whole, more colourful and complicated than some of the low-end dungeon crawls, though there were certainly a few outright slogs. 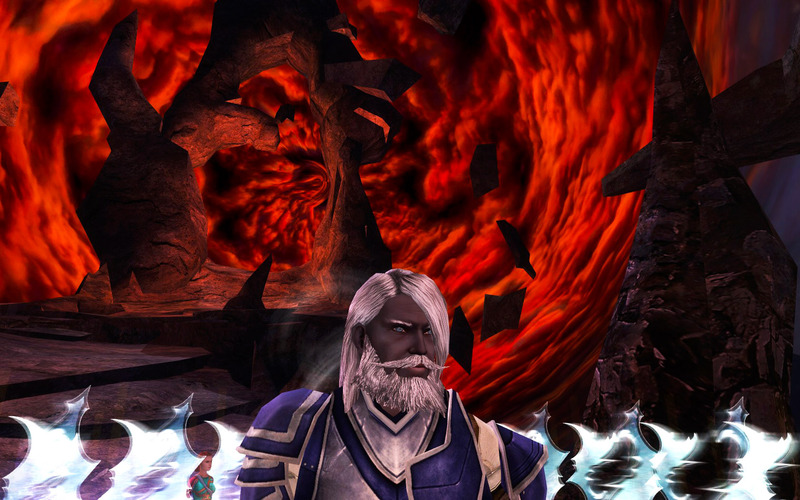 In so many ways DDO failed to live up to the true promise of Dungeons & Dragons. It was too fast-paced, magic items were as common as muck, most players were focussed on end-game builds, rather than the journey, which invested them with an impatient zeal to farm as much XP as possible. Almost no one tried to role-play in character, and those who did were generally ostracised for not acceding to the meta-game narrative. By metagame narrative, I mean talking about the game as a game, not as an immersive role-play experience; discussing the mechanics, the structure, the rules and parameters rather than the story or narrative. It was, indeed, immersion breaking, to have some nerdy kid ramble on about his weapons, or whatever inane thoughts were on his mind. All too often it was this metagame narrative that drove the conversation; babble about character builds, favour-farming plans, crafting, magical items, the effectiveness of spells, special attacks, strategies, boasts about lucky loot hauls etc. Much of this could have been contained or disguised within a more theatrical role-play, yet almost no on in the game was interested in doing so. Add to this the fact that so many players were non-native English speakers, lacked microphones or were unable either to hear or interpret chat, and you had a situation where communication in the group was largely limited to the task at hand, discussed in the plainest possible meta-game language. Once players knew the game well enough, metagame thinking became the only sort of thinking. This was, of course, very sensible as knowing the mechanics of the world and the tendencies of the game designers made it possible to make better predictions about what lay ahead. Also, for players who had run quests several, possible hundreds of times, there was, quite simply no mystery remaining, only the satisfaction of a swift, efficient, error-free completion. 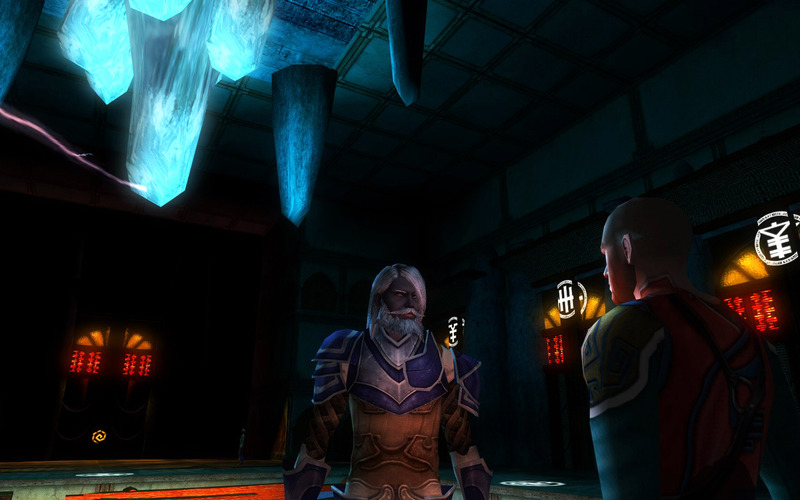 The game did not foster an environment in which role-play was at all practical or desirable for people joining pick-up groups, though it could be, if one were able to play regularly with the same, like-minded people. For the vast bulk of players, this was simply not possible. 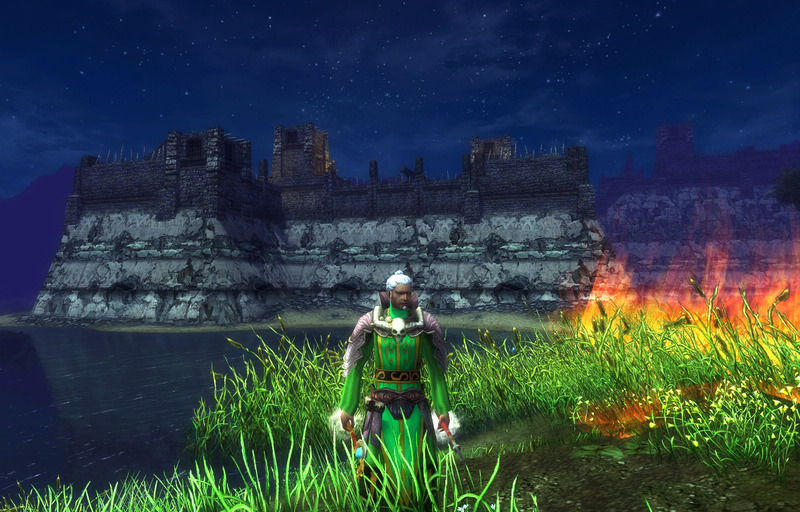 Whilst in many ways DDO seemed very different from Dungeons & Dragons, it was oddly true to it in other ways. Many of the quests involved treks through long, complicated dungeons, replete with traps, riddles, tricks, monsters and loot, locked doors, secret passages and illusions. The impossibly long corridors under the city of Stormreach and in the ruins and settlements surrounding it resembled those of E. Gary Gygax & co.’s earliest dungeons. They were classic dungeon crawls, which, if mapped onto pen and paper, would not be entirely out of place in a pile of First Edition modules. The principal problem, however, was the pace at which they were run. If the quest Walk the Butcher’s Path were played as a pen and paper game, it might take an entire day of careful dungeon-crawling between mob fights to complete. Yet, in DDO, an efficient party could smash through it in nine minutes, possibly less, with everyone running the entire way, as is most often the case. This high-octane, fast-paced dungeon crawling was very much de rigueur on all servers and almost every group contained a player, if not several, with sufficient experience to spoil the surprises by giving advance warning of what was to come. It was a very useful preventative, but stripped the game of immersion and, at times, suspense. Despite these short-comings, the game was still thoroughly enjoyable, especially when running quests for the first time. Some of the lower-level quests could seem quite bland, but things certainly became more diverse and colourful as time went on. The exciting newness of the locations and challenges, the landscapes and environments – be they interior or exterior – was sufficiently immersive in itself. As Hallifax Bender first began to make his way through higher level quests, I was also very fortunate in finding good groups who did not spoil the excitement, but rather encouraged it. I mentioned in earlier instalments one stalwart companion, a bard by the name of Holz, with whom Hallifax regularly ran. 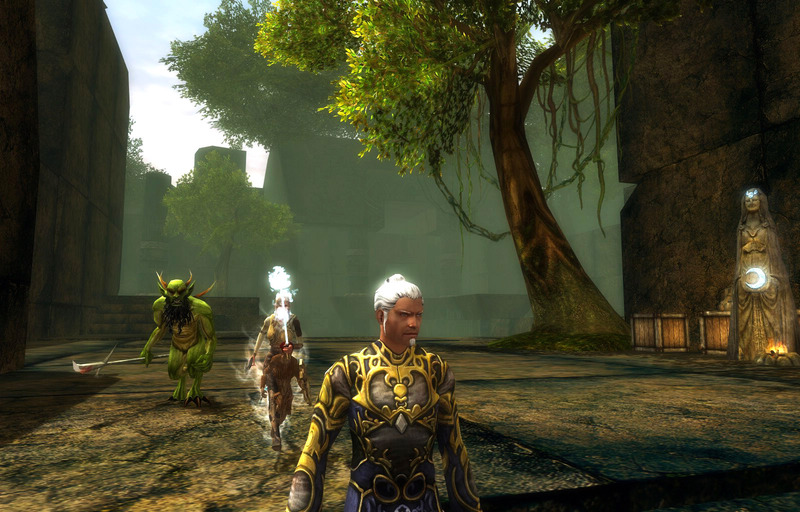 Though I had started playing the game some time before Holz, we both hit mid to high levels at roughly the same time, and thus experienced many quests for the first time together. By the time Hallifax finally hit level 16, the in-game level cap had already been lifted to 20. I found some good people and made the final push for 1750 favour out in the craggy, burning wastes of Gianthold, with its depressing, relentless brown and purple landscape. Despite my great love of the character of Hallifax and my pride in his many achievements over what had now been more than a year of gaming, I knew that the instant I hit 1750 favour I would be abandoning him. 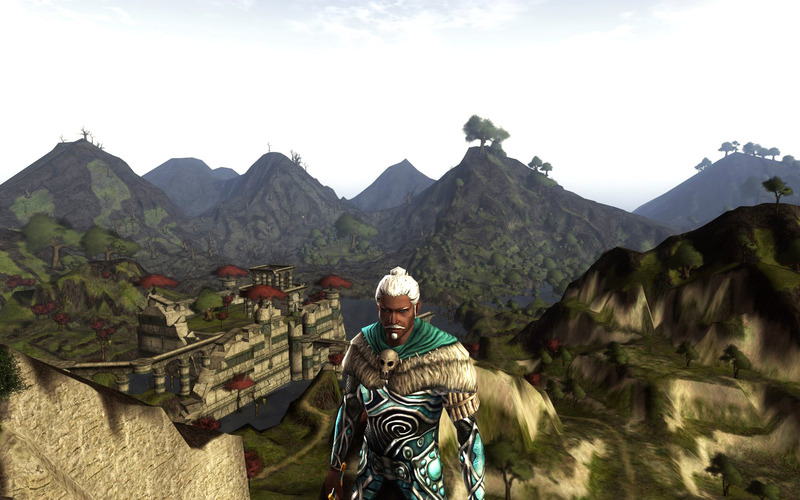 So it was that, that same afternoon, I created two new characters; Barronio Morrowind and Snowfell Vanish of Mirabar. Shortly prior to this, as Hallifax was clambering towards level 16, the Favoured Soul class had been introduced to the game. Favoured Souls were Divine casters, using essentially the same spells as Clerics, yet with a spell progression and spell point allocation similar to Sorcerers. Barronio was an attempt to create a versatile, combat-capable support character and, with my usual zeal for experimenting with multi-class combinations, I made him a Human Monk / Rogue / Favoured Soul. I’ve mentioned earlier that I don’t always get it right with multi-class character builds, but that depends on how you look at it. When it comes to the end-game, at level 20, they are unlikely to hold up as well as specialist characters, largely because in a twelve-member raid group, all the bases are already covered and such diversity of talents is not required by one single player. Indeed, in the end game they tend to be too compromised in all their fields to be as effective as the specialists. That doesn’t make them useless, yet it makes them seem somewhat second tier to the pros. At lower levels, however, and, I would argue, all the way through to around level 15, their effectiveness was unquestioned. 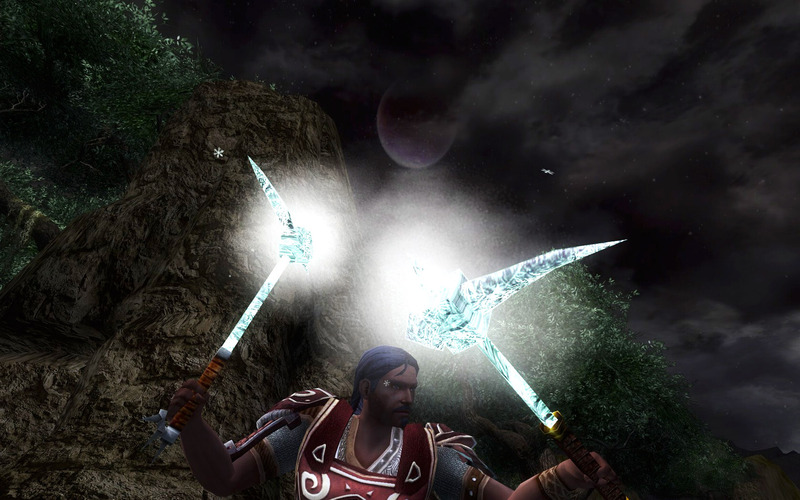 Barronio Morrowind, on account of his mixed talents, was not only a formidable combatant with great durability and incredible saving throws who regularly topped the kill count, yet he was also a maxed rogue splash who, with spells and a backpack full of wands, could act as a back-up healer and buffer. I should also give myself some credit for equipping and playing him with expertise and precision. His rise was meteoric and he was always appreciated as a standout character. Snowfell Vannish, meanwhile, was another indulgence of my multi-class zealotry. An Elf Monk / Wizard / Rogue, I too saw him as a combat-capable support character. The plan was originally to take him to level 2 in Monk for the abilities, saving throws and armour-class bonuses, level 5 as a wizard to access haste and displacement on top of other protective spells, then put the rest in rogue. After several months of play, he finished up Monk 2 / Wiz 5 / Rogue 7, at which point I decided to retire him for a good long while. Snowfell’s effectiveness was also incredible, if I may say so myself. He regularly smashed the kill count using unarmed attacks, was practically unhittable, could boost the whole party with haste in moments of need and was a top notch trap-monkey and sneak artist. Playing him was also very satisfying in that, strangely, a lot of people didn’t see the point of the build, nor could they determine what his role was, but he never failed to impress. Indeed, he was the only character I ever had who made it past level 10 without dying a single time. Ultimately, I decided that, for the sake of durability, he should in future only level as a Monk, but even then, I suspected that his effectiveness beyond level 14 was doubtful. The creation of these two characters was just the beginning of a massive expansion of the playing roster. I went to town coming up with further multi-class builds, most of them following more traditional combinations that were tried and true. There was my ludicrously named Elf Ranger / Rogue / Monk Applefrost Loveblossom; the equally keenly named Drow Rogue / Ranger / Bard Honeydrop Sundew, the specialist Elven wizard whose name I borrowed, Faffle Dweomercraft and several others, some of whom were ditched shortly afterwards as failed experiments. Many characters came and went and the quality of my game-play rose continually with experience. I gradually became far more familiar with the higher-level areas which improved my capacity there at the cost of my sense of wonder and excitement. I met many excellent people and played with my fair share of irritating dead-shits as well. As time wore on I stopped caring about the outside world altogether. I lost interest in my friends, family and other activities. I was impatient whenever other responsibilities arose and often accepted invitations to things, to which I would invariably fail to turn up. Once in the game, however, I was unstoppable. The insatiable desire to start new characters never went away, however, and so I rarely ever took my characters through to level 16 or beyond. I’d usually make it into the teens, or at the very least to level 8, then switch out onto another toon and run them up. I often sat there, staring at the screen, scrolling up and down my list of characters wondering – who do I want to play? 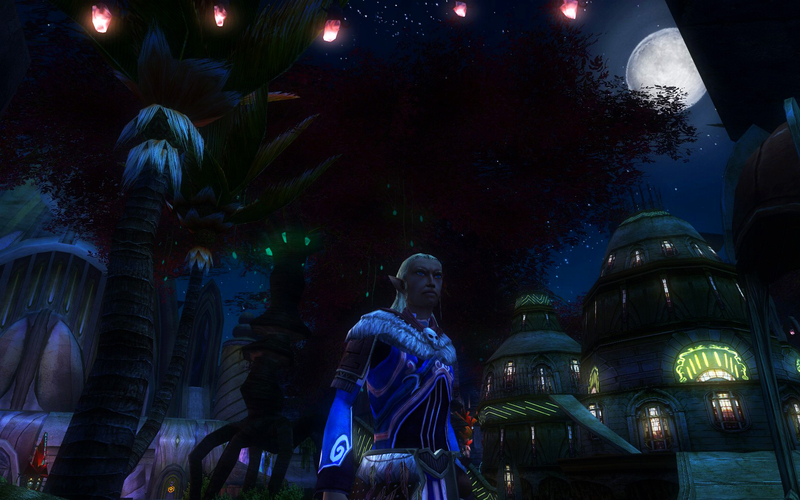 Once the game had switched to free to play mode and the option was there simply to pay for additional privileges, such as extra character slots, I bought up a good few and soon had 15 different characters on the one server: Lucessa Rainsinger, Rhodon Froste, Lusetta Sorrowdusk, Yardley “The Scisssors” Bruce, Jyzze Badajon, and Swimm Lantern to name a few. When new servers were opened and announced, I logged straight in and created a whole host of characters, in effect reserving names that were otherwise impossible to have as they had been taken from the start. Names such as Summer, for example, which can only be used once on any given server. 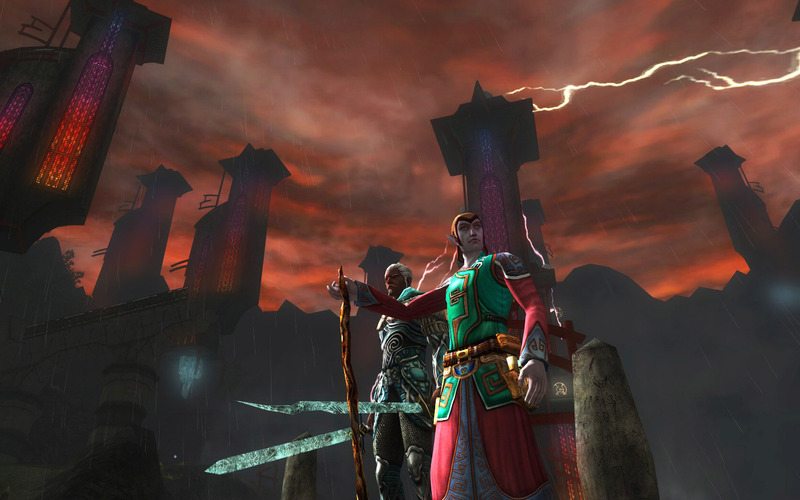 On the Sarlona server, where much of my gaming took place, I’d had to run with Summerr – in the time-honoured tradition of variant spelling to get around the unique name issue. It was a fair compromise, I suppose. Most of these characters I never returned to and, I must admit, I feel a bit guilty in retrospect for denying those names to others. In some ways it was like having multiple personalities, and I would always, to some degree, try to be in character, at least in my own mind. Time flew on by and, seven months after returning from South East Asia, I was more immersed in the game than ever. 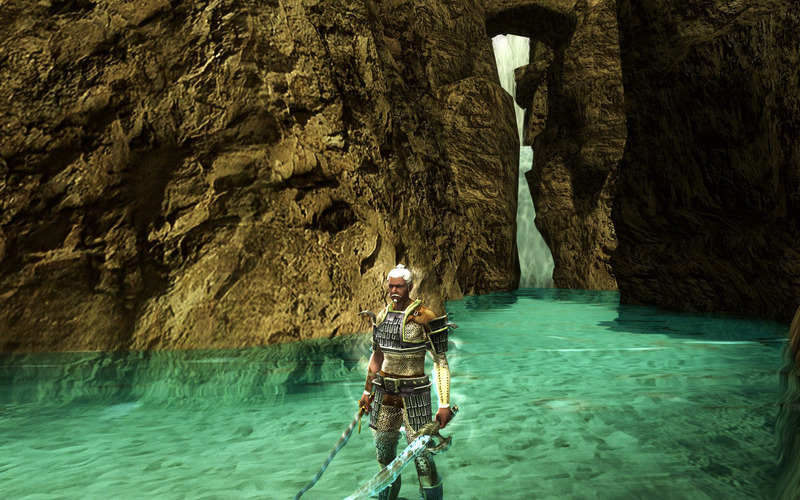 My first real attempt to break with DDO came in March 2010 when I travelled to India for two months. I had no intention of playing the whole time I was there and felt a wonderful sense of liberation once I was away. That trip to India, which I have written about elsewhere, was one of the key experiences of my life. I took over twelve-thousand photographs, wrote a lot, met great people and visited amazing places. 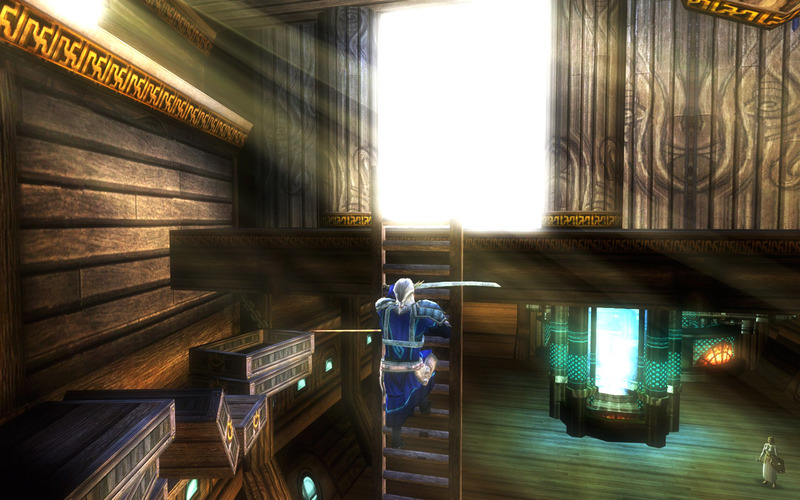 I thought I had pretty much shaken off the DDO experience once and for all. 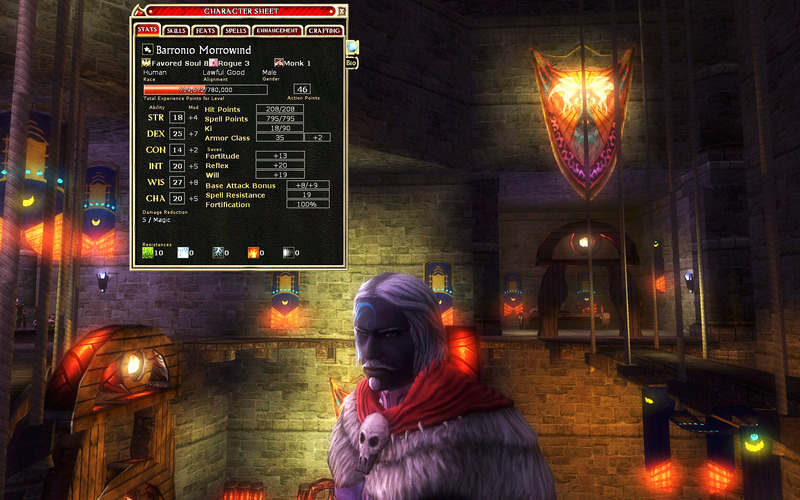 Upon returning, however, after a few nights of dedicated photo-editing, the desire got to m and I logged back in to DDO. 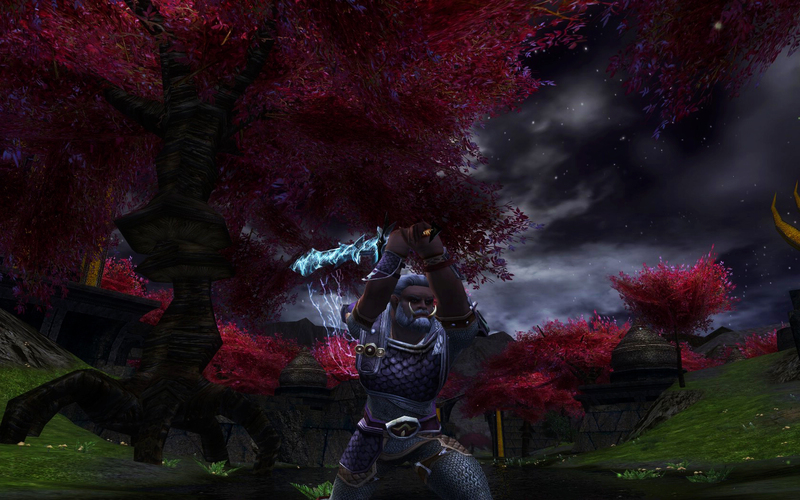 As was typical of my habits, I instantly created a new character – Jasparr Krait of Luskan – who was a dual heavy pick wielding kensai fighter with rogue and ranger splash. 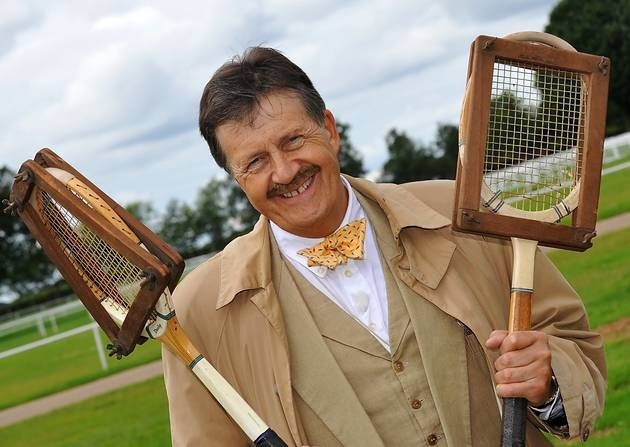 I enjoyed being back so much, and was so enamoured of my character with his Tom Selleck Moustache, that I became lost in the game again for the next two months. My second serious attempt to exit the game came in July, when I was asked to mind a friend’s parents’ house in Paddington. Despite the gnawing desire to stay with the game, I decided not to take my desktop with me and try instead to free myself of the addiction. I succeeded quite admirably and, were it not for a sinus infection that lasted a month, I would have used the time even more wisely to reconnect with friends etc. Soon after this, I briefly moved back to my own parents’ house before another move. I thought I might have shaken off the bug and logged in only intermittently. 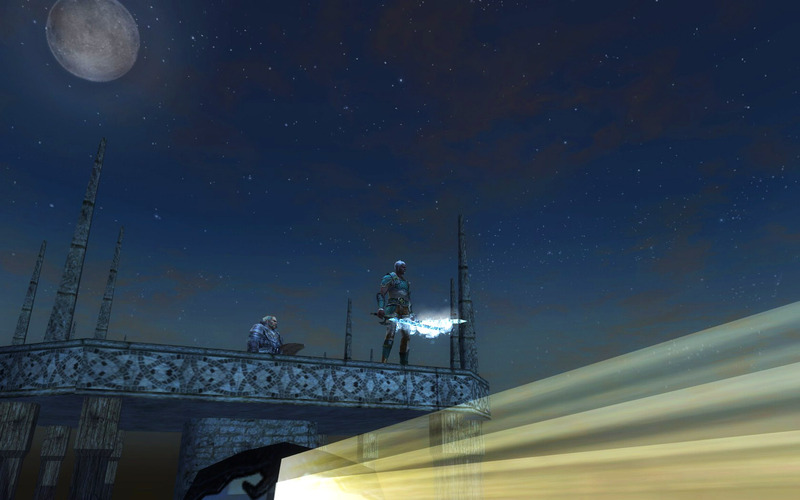 Yet, shortly after moving and settling into my new house, the bug got me again and I was back in Stormreach, hacking and slashing and zapping my way to glory. There’s an advertising campaign about quitting cigarettes at the moment, which states that every time you quit, you get better at it. In the first instalment in this series, I’ve described that final moment when I deleted the game and never went back. It was a tough decision, but it was made a lot easier by having walked away so many times before. It ultimately came when I realised I was not getting the same joy from grouping any longer, as my patience had worn thin over the years. There were also too many elements of the game that required a lot of grinding. To be effective at the highest level required running the same old raids on scores of occasions in the hope of looting the desirable crafting materials, of which there was no guarantee. It was just too frustrating and nowhere near as much fun as the low and mid-level ambitions of levelling and developing the character build. When I realised I’d had enough of the low and mid-level game, and believe me, I did it to the absolute death, there was simply nothing for me any longer. 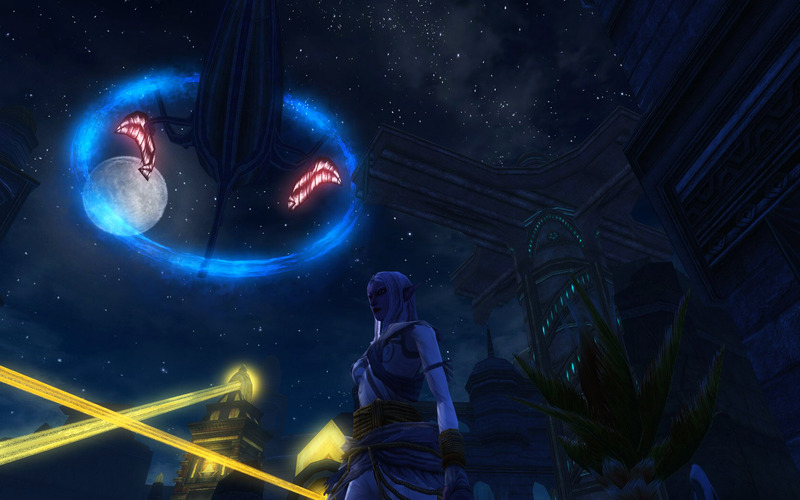 Like any MMO, the game’s growth continued from its inception. As it progressed, I found that generally the updates improved elements of the game. The new quests, character classes and races, new look armours and outfits, the new prestige class options for clerics and sorcerers were all welcomed. There were, however, a couple of major changes that, in my mind, changed things considerably for the worst. The first was the introduction of Guild Airships. This in itself was a fantastic thing – they made it easier to get around, provided an exciting place to visit and gave being a member of a guild some real oomph. Where they were flawed, however, was that the best airships offered characters the chance to buff themselves to quite a ludicrous degree, giving them so many simultaneous bonuses that people began to joke about it as God Mode. This also created a huge disparity in many quests between those with ship buffs and those with none. It also created an often long and frustrating wait to begin a quest because players would insist on getting ship buffs first. In the end, I got fed up with it all. 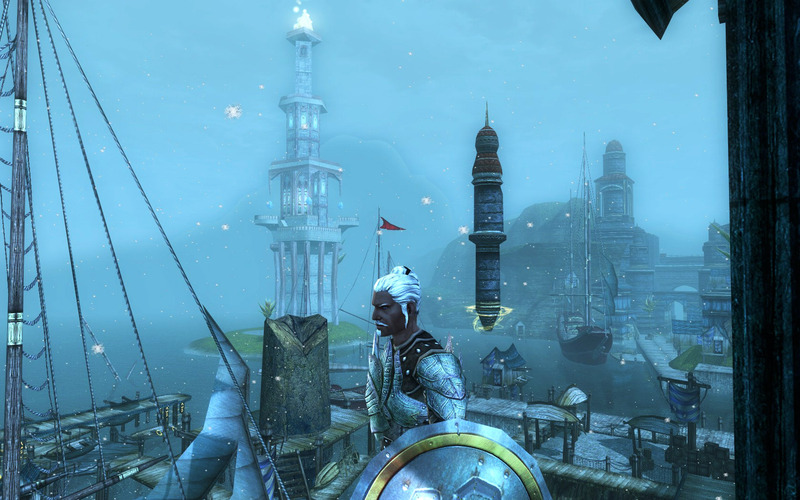 I did, however, create my own guild: The Frozen Spine. This might sound like an awful medical condition, but was actually an homage to Icewind Dale and the Spine of the World Mountains. It was fun to have my own guild and to buy an airship – the cheapest and least attractive to begin with as it was level-restricted. Yet, in the end, it just felt like something else to manage in game, when I was already busy enough with the auction house and so on. The other upgrade that I especially didn’t like was the new crafting system. Indeed, this was the final straw. I would have welcomed this in theory, and did so initially, yet the consequences of it were, in my opinion, dire. Within weeks the auction house became flooded with countless replicas of the same item, and instead of selling their excess loot to the brokers in the market place, most players simply broke it down into magical essences etc. The items that were sold to the brokers were then bought en masse and deconstructed by wealthier players, so that the brokers never had anything left to sell. In effect, this killed one of my favourite in-game hobbies. : shopping for second-hand goods and finding overlooked treasures to sell at auction. 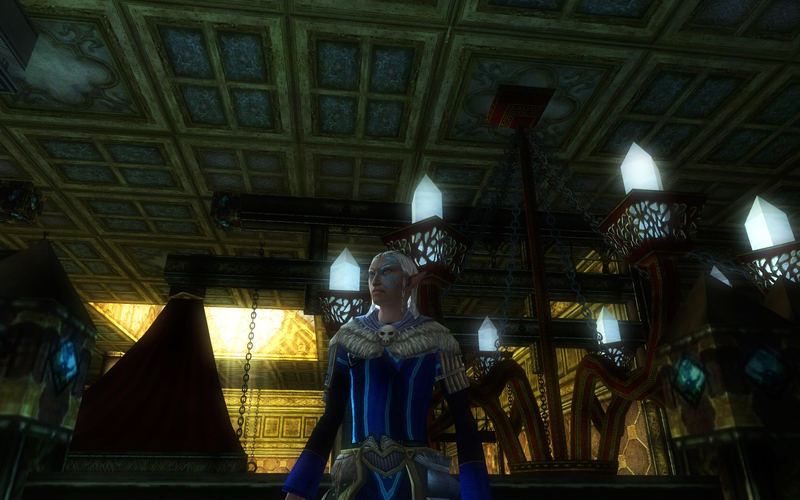 In many ways, for me, DDO was like a grand, fantasy-themed episode of Bargain Hunt. When that pleasure was gone, I felt such a sense of loss that I didn’t really want to hang around any longer. I didn’t like the sort of rinse and repeat grinding and farming that it encouraged and the process itself was rather tedious to carry out. I’m sure I might have given it more of a go, but at that late stage, when I was already looking for an exit, it just seemed like a disappointing nuisance. At least I had a good last hoorah. 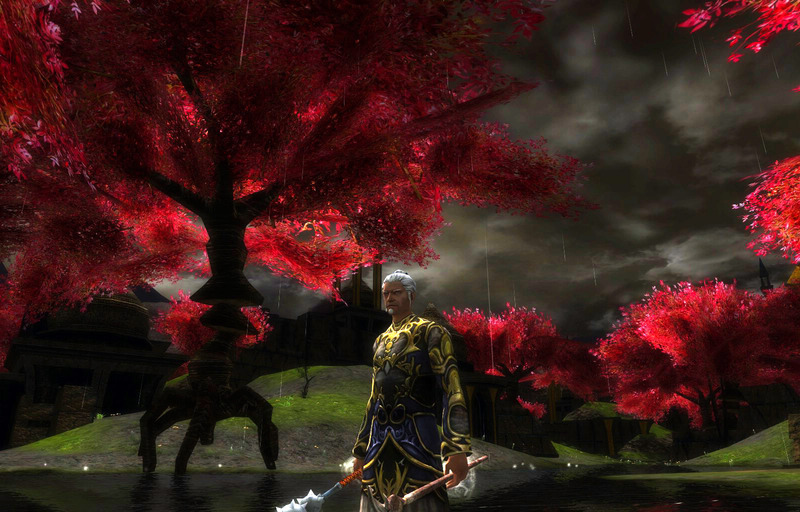 In my last phase of play, between February and April 2010, I spent a lot of time running as Jyzze Badajon, a sorcerer specialised in electrical spells. It was awesomely good fun and I was impressed with how much I nailed not only the build, but also the performance. Despite my lack of experience in the highest level quests, all of which I’d done at least once, I was pretty hard to beat in the rest of the game. Jyzze was a wonder, so good in fact that he often spoiled the fun by killing everything before anyone else could swing a weapon. There was something wonderfully visceral about using maximised Shocking Grasp and Ball Lightning and despite spamming these spells, I never seemed to get bored of them. Still, even this had its limits, and ultimately, it was the same old arenas, same old dungeons, same old mystical, magical settings. Perhaps it’s not at all odd to think how bland and run of the mill they could be after a couple of years. As the game slowly became less appealing, so the outside world grew in stature for me. Then, over the course of a couple of months in 2011, I slowly emerged, blinking, into the real world. It was the Arab Spring that dragged me back to reality. I became so engrossed in the revolutions in Tunisia, Egypt and the subsequent civil war in Libya that I went from running DDO to live-streaming Al Jazeera full time. I also took up writing about the revolutions and spent a lot of time researching Middle Eastern affairs further. Suddenly the world was very exciting again, with the onset of what seemed like a major historical shift in that region. It was a long-overdue re-engagement with reality. I got my life back on track with other new projects, a new partner and, leaving the dreadful embrace of the machine, embraced instead a more active life. I fell in love again and, when in June of that year, it all ended in tears, the revolution was completed. That break-up proved the best misfortune I’d suffered in years and, after some deep despair and depression, another move and frequent visits to a psychologist, I came out fighting and haven’t looked back. It all made me realise what a low gear I’d been rolling through life in, and just how much underlying depression there was after having spent so much energy in preceding years writing unsuccessful novels. Since then, despite the occasionally overwhelming desire to re-install the game and log on just one more time, I’ve been, as my old friend Justin would say, “keeping it clean.” Ironically the strongest desire to play again hits me when I’m most bored with computer games. It’s because, deep down, I love gaming and likely always will, but what is missing most of the time is the human element. Online gaming might be anti-social with respect to the real world, but it’s a highly social activity within the context of the game. The game itself has moved on with new character classes, higher level advancement, new adventures and the like. In many ways I’d love to have a look at it, but the idea of going back and not quite knowing the deal helps keep the game at a further remove. I can’t say definitively that I will never again lose myself in an MMO, and with the Elder Scrolls Online coming out some time this year, there are dangerous waters ahead. Yet, I learned so much from this experience and know how to manage my urges much better. There is too much to do in life that is too important, and I just cannot afford the time any longer for such devotion to a game. It seems a lot easier these days simply to say no. Thanks very much for your compliments : ) I’m glad you enjoyed reading it.